TL; DR: You’re being watched. Whether it’s a tracking cookie or a criminal, someone can track every step of your online activity. As the world becomes more connected and accessible, VPN services like Private Internet Access can keep you off the grid and safe, whether you’re at home or on a public wifi network. As a satisfied customer myself, I was excited to talk with Co-Founder Andrew Lee and CEO Ted Kim about how the company provides a secure tunnel to their network. It’s time for a bathroom break, and you’re home alone. What do you do? Do you close the door? If so, you understand the importance of individual privacy, according to Private Internet Access CEO Ted Kim (By the way, he would close the door). Even if you don’t think anyone is watching, it’s better to be safe just in case. “It doesn’t mean I’m doing anything bad in there, it just means I have an expectation of privacy in certain areas of my life,” he said. The same can be said for online privacy. In an age where governments, Google, and Facebook watch what you do online, more people are looking for ways to protect their online activities. Just like you wouldn’t want someone to watch you enter your PIN into an ATM, you don’t want someone to know what you’re doing online. Enter Private Internet Access, otherwise known as PIA. The company provides Virtual Private Network (VPN) access to users who wish to hide their browsing history and physical location from anyone who might be looking. As people started to use the Internet and understand the capabilities of technology, the concept of data mining or invading others’ privacy didn’t really register on the general public’s radar. By subscribing to Private Internet Access, your IP address is hidden and location is changed. In layman’s terms, a VPN replaces a user’s IP address with one of the company’s anonymous IP addresses, meaning a user’s data is encrypted and geographic location is changed. PIA operates at the TCP/IP interface level, meaning all of your applications — not just your web browser — will be secured. PIA, whose services can cost as little as $3.33 per month, routes VPN users through gateways in nine US locations and 24 international locations in places such as Canada, Europe, Australia, Russia, Turkey, Hong Kong, Singapore, and Brazil. While most VPNs — including PIA — claim not to log or keep any records of users’ behaviors, there’s essentially no way to verify that. PIA, however, was put to the test earlier this year when the FBI ordered the company to turn over information about a Georgia man who had sent a number of false bomb threats. While PIA will comply with valid legal requests, the fact of the matter is that they just don’t have the data to give. In the case earlier this year, all PIA could tell the FBI was that the user was a subscriber to the service after they located his PIA login through separate means. Andrew says that, while PIA built its network a bit differently, he can’t go into too many details without revealing the recipe to the secret sauce. Hard to fault a company brokering Internet privacy for keeping proprietary details close to their chest. At the most basic, he said, you start with servers and really fast Ethernet connections. The servers run various VPN server daemons; PIA runs PPTP, IPSEC/L2TP, OpenVPN, and SOCKS5 for proxy servers. As for software, Andrew said that PIA tends to shy away from cutting-edge products. They’ll review a program’s code and features and file it away in their memory in case they want to backport it eventually. Users can access the VPN of Private Internet Access through a variety of operating systems and devices. As more people flocked to PIA, Andrew said his team quickly discovered the limits to servers, ports and switches. PIA employs roughly 10 developers who work in Java and Objective-C to maintain their native Android and iOS apps. The developers originally used Titanium to facilitate a cross-platform desktop codebase, but the company recently began sponsoring and using NW.js, formerly known as Node-Webkit. Although PIA is based in Los Angeles, employees also live and work in South America, Europe, and Asia. Unsurprisingly, PIA employees adhere to a “crazy strict” internal security policy when it comes to communicating with each other, Andrew said. Instead of the standard Slack that most tech companies tend to use, PIA has used mostly Off-the-Record Messaging, or OTR. If they need to communicate with someone outside PIA, employees will use IRC. “We kind of stick to anything that’s end-to-end encrypted, if possible,” Andrew said. New features and user-interface-related updates go through the QA department. Once it passes, PIA will publish betas on their forums for users to try out. According to Andrew, PIA developers need to make internal requests to move code through one of the Co-Founders, who incorporates the changes into the live version. PIA recently released new versions of their iOS and Android apps, and they’re working on changes for their Mac, Windows, and Linux desktop apps. The PIA team continually works on improvements to their network and datacenters to ensure users get the best connectivity. The need for privacy can be applied to all sorts of routine, day-to-day operations beyond the bathroom or the Internet, Ted said. For example, we wouldn’t think about getting into a car that didn’t have airbags, anti-crumple zones, automatic brakes, or any number of other safety features. 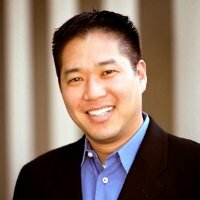 Meet PIA’s CEO: Ted Kim. Just as automakers introduce new safety features as various hazards present themselves, PIA will continually evaluate their services and features. “We’re still really early in the beginning of all this,” Ted said.